There are many different body types of business van available, each of which may prove more or less suitable for different purposes and industries. Perhaps you have just started a new business, or you are expanding and either now need a business van or need to replace old ones. Either way you need to make sure that you get the right van for the job both for now and in the future. Some of the right questions to be asking are; how will you be using your van, how much will it cost to run and maintain, how will you finance your van, and what additional components do you need to help your business run smoothly? It is important to firstly consider the payload type before choosing a van. Will your van carry bags of heavy sand and cement, tools, food, or delivery parcels? What is the maximum number of passengers you will be carrying? You may require additional seats if you have a team or worker’s travelling to the same destination. Should you need a van capable of carrying more than three passengers for business then you will need to consider a double-cab model (crew van) which has an extra row of seats. These are often needed for road workers or scaffolders. Think carefully about how your loads will be accessed too. Perhaps you will need a tail lift or fork-lift truck or require access from the side of the van for heavier lifting. Will you be carrying food and require a temperature control in the load space? Will your employees only be travelling short distances or be making regular long journeys that require a little extra comfort? There are many other additional running costs to consider such as maintenance, fuel types, tax, travelling in emission-free zones and insurance costs. 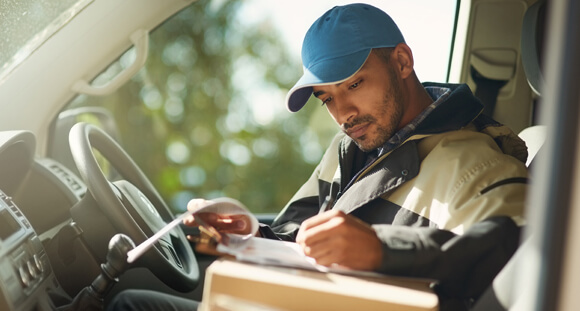 Van insurance costs can vary significantly depending on the value of the van, nature of the business and its load, but it is worth investigating and checking that it covers all your business needs. Check if you are covered for personal use, who is insured to drive the vehicle and if tools and stock are covered as part of the policy. If you require a business van over 3.5 tonnes then you will also need a special goods vehicle operator licence which is an added cost to consider. This is basically a goods or dual-purpose vehicle that has been adapted from a passenger car. Its maximum loading weight cannot exceed two tonnes and it is therefore suitable for small deliveries or florists and self-employed tradesmen. Panel vans are the most common on our roads with a flat, enclosed load bay area and without windows at the back. These van types come in many different sizes and offer a good balance between load carrying ability and ease of driving. Panel vans often feature a lowered floor around the rear doors or sliding side doors and extra steps can be added to the bumpers or side sills. Panel vans are often used by trades such as electricians and plumbers, but are also useful for delivery companies. This van is cube-shaped with a roomy load area which is independent to the cab. Suitable for couriers and delivery drivers who need the space for bulkier loads. Box vans are similar to Lutons but without the additional above cab cargo area. A Luton van is one of the most popular vehicles used for carrying more bulky items or indeed for smaller household removal firms. They are like an extended box van and consist of a taller cargo bay with extended cargo area above the cab. According to the professionals at Fantastic Removals (London), the Luton van is among the best choices for commercial-grade removals. This is a basic shell of the cab minus the rear body. They are specifically supplied this way for conversion to meet the business requirements. Common conversions are drop-sides, tippers and flatbeds. Tippers are useful for carrying heavy materials and aggregates which need a direct delivery to a site. Drop-sides are used for easy access, specifically ideal for building and horticulture trades. Flatbeds have a flat, open-air bed which can be suitable if you don’t need security or weather protection. City vans are small in size and functional in style. They work well in urban environments for trade and delivery firms.